At Sam Park Hair Crieff we have an amazing offer for you getting glam for party nights and special events with our award winning Junior stylist Sammy! Or visit our gallery for more ideas! So if you are wanting big and bouncy or straight and shiny blow-drys or fancy a gorgeous put up, book an appointment now with Junior Stylist Sammy by calling the salon on 01764650200 or get in contact through our social media. New L’Oreal Professionnel refreshing Energic shampoo from our Gents range. Our advanced stylist Nicola specialises in gents cutting. Nicola is available Monday’s 9-8, Wednesday’s 9-8 and Saturdays 9-5. Prices are £22 for wash and cut. To get your shampoo call Sam Park Hair on 01764 650200 or message us. Powermix is the 1st in-salon hair masques highly concentrated with pure ingredients. The masque is freshly mixed at the last minute to instantly transform your hair. The Serie Expert Powermix hair masque combines two products (Powermix Base + Additive) to create a powerful and personalized masque liquid. The Powermix additive comes in five different variations depending on what your hair requires – whether it’s instant shine, smoothness, colour protect, strength or nutrition. These products deliver their maximum efficacy when freshly made, which is one of the reasons why this new treatment range is so unique. Once mixed, the tailor-made masque can be left on shampooed and towel dried hair for up to 5 minutes before rinsing. Resulting in an instant transformation for tired tresses. Before each Powermix treatment you hairdresser will analyse your hair condition and expectations, and after the hair analysis, they will recommend your bespoke hair treatment for perfect salon hair everyday. Serie Expert has 14 dedicated ranges with the very best professional treatments from advanced L’Oreal technologies to instantly treating every hair type and need. Powermix : our new intensive personalised treatments selected and prepared before your eyes. With our new freshly made treatment, your hair is instantly magnified by a flash of shine and with unparalleled softness. Base – For all hair types, the base to mix with one additive. Hair becomes soft & magnified by a flash of shine with ingredients such as nutritive lipids. Colour – For Coloured hair. Provides lasting protection to colour, hair is instantly enhanced with increased softness and shine. With Serie Expert AOX complex, vitamin E, pro-vitamin B5 and anti-oxydants to magnify and protect the beauty of coloured hair. Nutri – Brings a high level of nutrition to undernourished and dry hair. Instantly nourished hair with maximum softness and shine. Glycerol & Beautifying polymer to deliver hydration and nutrition for dry hair. Liss -To tame rebellious and curly hair. To detangle instantly, anti-frizz and enhance hair softness and shine. Hair treatment precisely dosed in Pro-keratin to smooth the cuticle of rebellious curly hair. Force -To use on fragile hair prone to breakage. Hair protection, resistance and added softness and shine. With ingredients including Vitamin B6 + Biotin to stop hair breakage & fall. For your salon exclusive Powermix treatment, book an appointment now by calling 01764650200. Why not treat your dad this Father’s Day, on Sunday 18th June, with a present of hair styling products or a voucher. Density Material: Creates a volumised style with dramatic definition and a powerful hold finished with a natural looking matte effect. Work a small amount of product between your hands and apply evenly through towel-dried or dry hair. Perfect for added hold and creating a look that defies gravity. Deviation Paste: A deconstructing definition paste: this matte effect definition hair paste is perfect for creating deconstructed separation and definition of your style. A unique formula designed to work best on short hair. Heat a small amount of product between your hands and apply to towel-dried or dry hair, using your fingers to define sections. 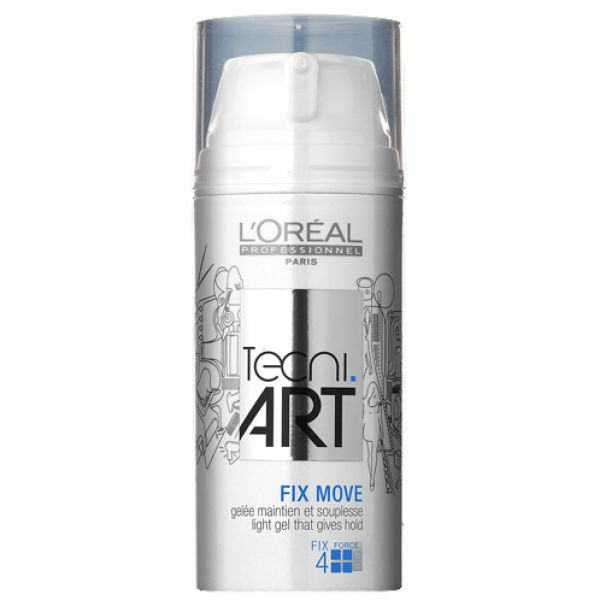 Fix Move: A lightweight gel-wax in the Tecni.ART Fix range: Fix Move is a light hair gel, which provides hold and control without stickiness, allowing for natural lightweight movement. Enabling you to play around to sculpt and texturise the look of your hair. For a flexible hold with a boosted shiny finish, apply onto semi dry hair and then finish the look. Homme Cool Clear: Effective from the first application to reduce the appearance of dandruff and help protect against its reappearance. Its high foam texture refreshes the scalp and leaves the hair incredibly clean. Homme Energic: A refreshing Shampoo with Mint and Ginseng extract. The formula is optimised for daily use, to help refresh the feel of your hair from root-to-tip. A high-foam technology allows the shampoo to easily lather up for a clean feeling, with a natural looking shine. 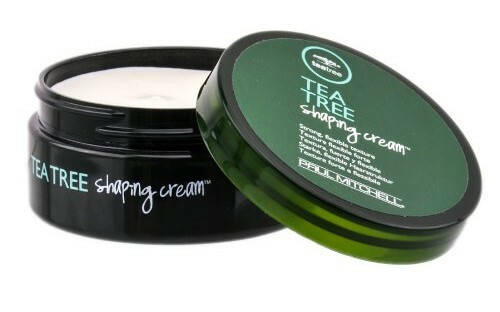 Tea Tree Shaping Cream: Shapes hair with great texture and definition while providing strong, flexible styling power and long-lasting hold. The added botanical ingredients invigorate and leave hair smelling great. Leaves hair with a clean, matte finish. Visit us in salon to pick up the perfect present for a fabulous father! Sam Park Hair is introducing a new stylist to the team: Fiona O’Donnell! Fiona has joined the Sam Park Hair team as an Advanced Stylist and Make up artist! Fiona completed her training in Crieff and previously worked at L.C Salon, The Salon at Gleneagles and also Crieff Hydro Hair and Beauty Salon, therefore totalling up to 16 years experience in the industry. Our new stylist, Fiona, specialises in Bridal hair and make up however she also offers the full range of hairdressing services from cutting, colouring and styling. As a certified make up artist, Fiona will be offering make up services using the professional Jane Iredale brand. Fiona established her own mobile business ‘Bridal Hair & Make up Design Scotland’ in 2006. Fiona started offering make up services in 2013 after going to night classes to offer the full package to brides and their wedding party. Offering the service of all wedding hair & make up needs, without leaving the comfort of home or venue. ‘Bridal Hair & Make up Design Scotland’ is based in Crieff however Fiona is happy to travel to all area’s of Scotland including St Andrews, Dunkeld, Pitlochry, Kenmore, Glasgow and Edinburgh. Fiona’s hours within the salon will be Tuesday 9.30am-7pm and Thursday 9.30am-1pm. Please see our price list for Fiona’s service charges.